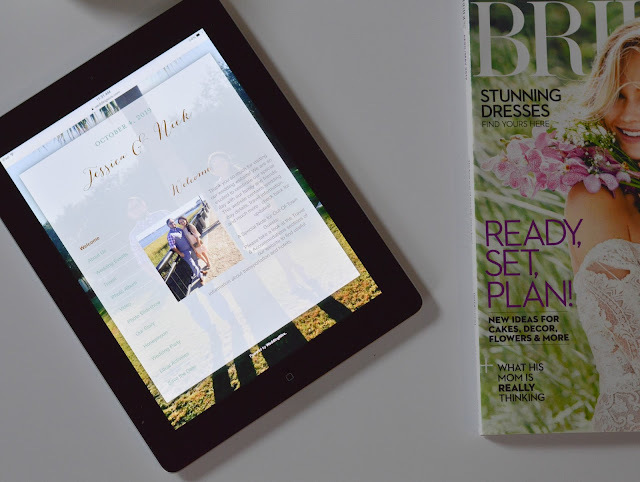 Today I’m partnering with WeddingWire to share what to include on your wedding website! One of the first questions newly engaged couples receive is “when’s the date?” Adding your wedding date and the city and state of the wedding is helpful to your guests who want to plan ahead. 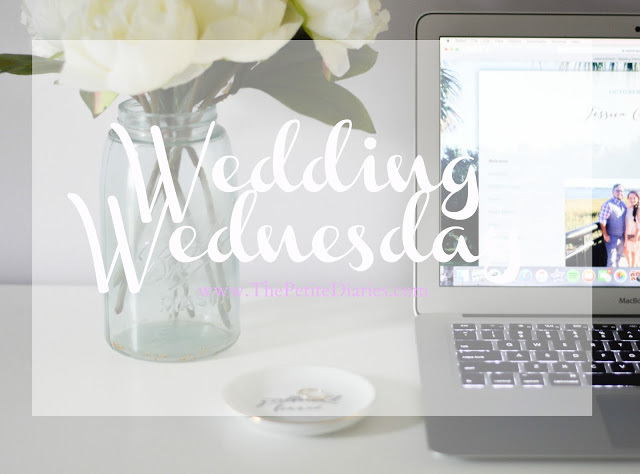 Even if you are two years out as soon as you have a venue booked you should update your wedding website! You may have told your closest friends and family all of the proposal details, but others may only know bits and pieces… so share your story! Those who are coming to your wedding want to know how the proposal happened! Plus, it’s always nice to brag on your fiancé for how cute or thoughtful the proposal was. This is one of the most important pieces of information to include on your wedding website. Since many of your guests will likely be coming from out of town, work on getting a hotel block early on so your guests can plan for the trip. If you have a block of rooms at a specific hotel be sure to include the link or the promo code so that your guests can get the correct rate. Don’t forget to include the deadline date to book the rooms if there is one. Obviously, your guests presence is the best gift they could give! Nick and I still have to do this but we plan on doing something unique for this! Also, if you have a wedding hashtag comment below as I love hearing of others! 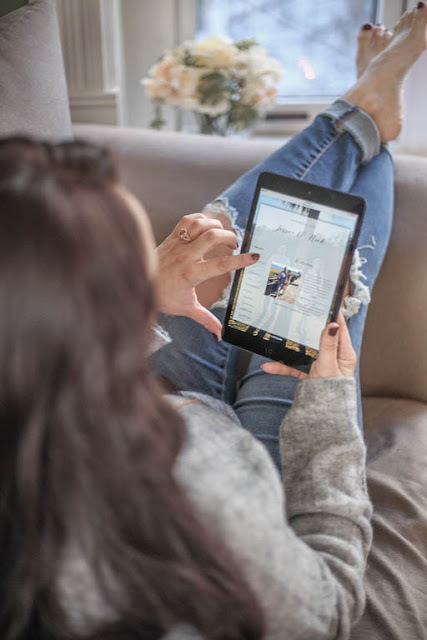 Photos are not required for your wedding website, but it’s a great way to share your favorite photos, engagement photos, and memories that you have made as a couple! You don’t have to include photos or descriptions of the people in your wedding party, but since guests may be interacting with them at a bridal/couples shower or throughout the weekend it’s a good idea to share who they are and what their role is in your wedding! Also, what an amazing and personal touch for your guests to know how special your Bridal Party is to you two! You can always include a wedding timeline for your guests, but this isn’t necessary. If you opt to not include this on your website, you can add it to your welcome bags for your guests! Tip ( Thanks mom!) If you opt to add a timeline on your website, only include items that all wedding guests can attend (i.e. not rehearsal or rehearsal dinner) that way no one gets their feelings hurt as some events leading up to the wedding are strictly for the bride and groom and immediate family. If you and our guests are very tech savvy then feel free to have your guests RSVP directly on your wedding website (with instructions on your invite). Some people, myself included, prefer a paper invite. So it totally depends on you as a couple and your guests. But how amazing is it to be able to RSVP right on your smart phone! Cute post! We never had a wedding website, but probably should have. Samantha! You never had a wedding?! Whattttt oh you must your wedding would be so amazing! Wedding website is soooooo handy - especially for RSVPs! Way easier to track numbers and vegetarians, etc. You can still do gorgeous invites for those who like snail mail, but being able to even put those ones in on your own is so helpful. is good to know all of that , I'm not getting marry but is useful when it happens! Yesss- all such good info to include. It makes it so easy for your guests! Super easy for everyone including us!! This is very useful! Thanks for sharing this! Thank you! I hope you found some good stuff!! Great post, and excellent ideas. My son recently got engaged , they are low profile people, but I can certainly see the convenience of such a site! Thanks for sharing. CONGRATSSS!!!! How exciting :) I feel you but after I made one I saw how helpful they were! Oh this is so good to know! Wedding Wire seems like the perfect resource! If you are getting married I'm loving it!! There are so many but this one was so user friendly! your wedding planning posts are so exciting to read. Neha thank you so much! I can't wait to go dress shopping and maybe share that experience too!